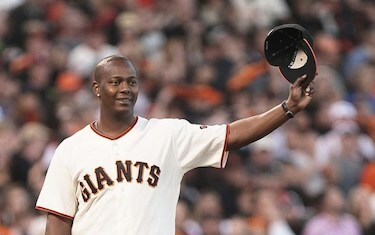 Major League Baseball shortstop Edgar Renteria is Colombia’s most successful player in U.S. baseball history as well as its most prominent athlete of African descent. During his 16 years in the U.S. major leagues he played for seven different teams. Renteria was chosen Most Valuable Player in two World Series games in 1997 and 2010 and he was awarded Colombia’s highest honor, the “San Carlos Cross of the Order of the Great Knight,” by President Ernesto Samper in 1997. Edgar Enrique Renteria Herazo was born August 7, 1975, in the Colombian coastal town of Barranquilla. Along with 14 siblings he was raised by his widowed mother, Vina, because his father Francisco died while Edgar was still an infant. Baseball had long been an integral part of the history and cultural identity of young Afro-Colombians. Many played the sport in their country but they recognized that only a select few would be chosen to play at the highest level, the U.S. major leagues. Since most Afro-Colombians lived below the poverty level, they saw baseball as a potential route to international fame and wealth. Although far more Cubans, Mexicans, Puerto Ricans, and Dominicans had found success in U.S. baseball, these young men knew American scouts visited Colombia to find the best potential players to come to the United States. In 1991, at the age of 16, right after graduating from Instituto Los Alpes High School in Barranquilla, Edgar Renteria was scouted and signed to the expansion Florida Marlins. He played shortstop and hit right-handed in the minor leagues. His first professional hit in a game broke up a no-hitter in the bottom of the ninth, foreshadowing his career ability at clutch performances. His first season in the majors (1994) netted a 22-game hitting streak, .309 batting average, 16 stolen bases, and second place for National League Rookie of the Year. Playing for the Florida Marlins in their first World Series in 1997, his eleventh inning RBI single won the seventh and deciding game in the Series. During his career Renteria was selected to the All-Star Game in 2000, 2003, and 2004. In 2002 and 2003 he won the Silver Slugger and Gold Glove Awards. With the San Francisco (California) Giants he hit game-winning home runs in Game 2 and Game 5 of the 2010 World Series. He played for the Florida Marlins, St. Louis (Missouri) Cardinals, Boston (Massachusetts) Red Sox, Atlanta (Georgia) Braves, Detroit (Michigan) Tigers, San Francisco Giants, and ended his career with the Cincinnati (Ohio) Reds. Two of his brothers, Edinson and Evert, played for several American minor league teams. In 1998 they created Team Renteria Baseball Academy, holding clinics for professionals and youth in Barranquilla, Colombia. In 1998 the team founded the Colombian Professional Baseball League. Announcing his retirement in March 2013, Edgar Renteria returned to Colombia to spend time with his family and to promote baseball in Colombia. Ian C. Friedman, “Renteria, Edgar,” Latino Athletes, A to Z (New York: Facts on File, Inc., 2007); “Trip Down Memory Lane,” Blogspot August, 2014, www.kwekudee-tripdownmemorylane.blogspot.com/2014/08; Parker Crooks, “Colombia’s Edgar Renteria announces his retirement,” March 22, 2013, www.colombiareports.com; “Team Renteria Baseball Academy,” www.4life.com/.